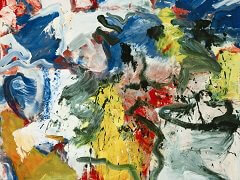 The Police Gazette is a landscape painted on canvas using abstract elements, and colors such as yellow, green and red. It is a painting with simple geometric forms, creating a perfect contrast between the formal elements that compose the artwork. 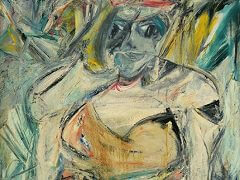 It was this painting that promoted Willem de Kooning amongst the most important abstract painters of the modern world. 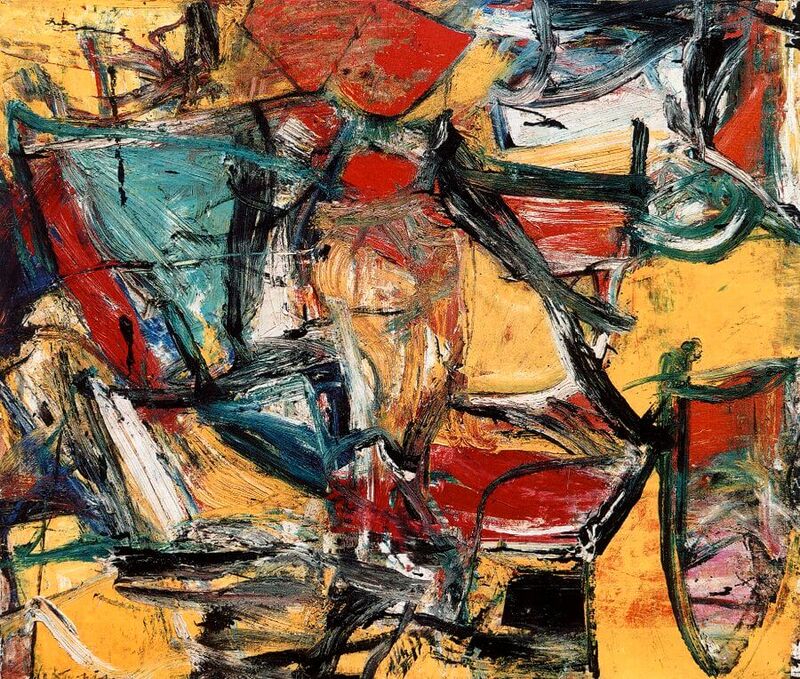 Although known for continually reworking his canvases, de Kooning often left them with a sense of dynamic incompletion, as if the forms were still in the process of moving and settling and coming into definition. 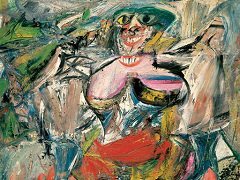 In this sense his paintings exemplify 'action painting' - they are like records of a violent encounter, rather than finished works in the old Beaux Arts tradition of fine painting. 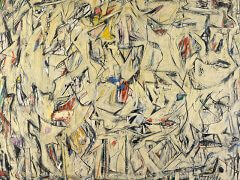 Willem de Kooning, like Jackson Pollock and Mark Rothko, was a leader in the development of Abstract Expressionism, an American movement strongly influenced by European Surrealist notions of automatism and free expression. 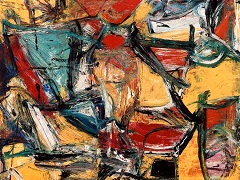 De Kooning did not use preliminary studies but painted directly on the support, manipulating pigment in vigorous, uninhibited gestures, expressing his subjective apprehensions of the material world in both figurative and abstract compositions. 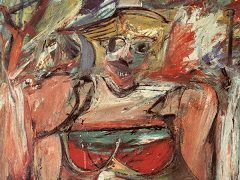 During the late fifties he temporarily abandoned the depiction of the human figure, which had preoccupied him since the beginning of his career, to evoke parkway and urban landscapes in abstract terms. 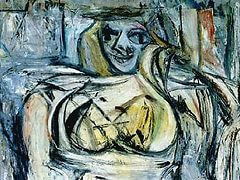 As he wrote: "The pictures done since the Women, they're emotions, most of them. 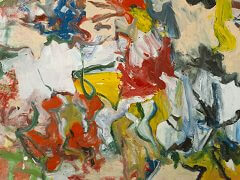 Most of them are landscapes and highways and sensations of that, outside the city, or coming from it."